Birth. (No date found), Montpeyroux (1), France. Of an ancient family from Lodève. His last name is also listed as Mardagost, Mandagot, Mandagato, Mandagos and Mandagoso. Education. Joined the Canons Regular of Saint Augustine. Studied at the University of Bologna; obtained a doctorate in utroque iure, both canon and civil law, ca. 1275. Priesthood. Ordained (no further information found). Auditor of the Sacred Roman Rota in 1288. Archdeacon of the cathedral chapter of Nîmes. Archdeacon of Uzès. Provost of the cathedral chapter of Toulouse, March 6, 1291. Professor of law at the University of Bologna. Notary apostolic in the papal court during the pontificates of Popes Martin IV, Honorius IV, Nicholas IV and Celestine VI. Episcopate. Elected archbishop of Embrun, March 28, 1295. Consecrated, April 10, 1295, patriarchal Lateran basilica, by Pope Boniface VIII; confirmed on April 20, 1295. He went to Spain with Cardinall Guillaume de Ferrières, who was accompanying Blanche d'Anjou to her wedding with the king of Aragón in 1295. Rector of Comtat Venaissin in 1305. Transferred to the metropolitan see of Aix, May 26, 1311; received the pallium the following June 20; occupied the see until his promotion to the cardinalate. Cardinalate. Created cardinal bishop of Palestrina in the consistory of December 23, 1312. Participated in the conclave of 1314-1316, which elected Pope John XXII. He was a celebre jurist and collaborated in the Liber Sextus of decretals; he wrote Libellus de episcoporum electionibus. Death. November 3, 1321, Avignon. Buried in the church of Sainte-Catherine, Avignon, which he had built. Bibliography. Albanès, Joseph Mathias Hyacinthe ; Chevalier, Ulysse. Gallia christiana novissima. Histoire des archevêchés, évêques et abbayes de France. 7 vols. 1895-1920, III. 869-875. Other Title : Gallia Christiana. Responsibility: D'après les documents authentiques recueillis dans les registres du Vatican et les archives locales. Complétée, annotée et publiée par le chanoine Ulysse Chevalier, I, col. 76-77; Cardella, Lorenzo. Memorie storiche de' cardinali della Santa Romana Chiesa. Rome : Stamperia Pagliarini, 1793, II, 91-94; Chacón, Alfonso. Vitæ, et res gestæ Pontificvm Romanorum et S. R. E. Cardinalivm ab initio nascentis Ecclesiæ vsque ad Vrbanvm VIII. Pont. Max. 2 volumes. Romae : Typis Vaticanis, 1677, II, col. 383-384; Du Chesne, François. Histoire de tous les cardinaux françois : de naissance, ou qui ont esté promeus au cardinalat par l'expresse recommandation de nos roys, pour les grands services qu'ils ont rendus a leur estat, et a leur couronne. Comprenant commairement leurs legations, ambassades & voyages par eux faits en divers pays & royaumes, vers les papes, empereurs, roys, potentats, republiques, communautex & universitez, pour affaires importantes à l'église universelle, & à l'auguste majesté de nos souuerains. Enrichie de leurs armes et de leurs portraits. Divisée en deux tomes, et justifiée par tiltres et chartres du thresor de sa majesté, arrests des parlemens de France, registres des Chambres des comptes; donations, fondations, epitaphes, testamens, manuscripts, ancients monumens, chroniques & chartulaires d'abbayes, & autres histoires publiques & particlieres. 2 vols. A Paris : Aux despens de l'autheur, & se vendent chez luy ..., 1660, II, 377-379; "Essai de liste générale des cardinaux. Les cardinaux du XIVè siècle jusqu'au Grand Schisme". Annuaire Pontifical Catholique 1930. Paris : Maison de la Bonne Presse, 1930, p. 141; Eubel, Conradus and Gulik, Guglielmus van. Hierarchia Catholica Medii Aevi. Volumen I (1198-1431). Münich : Sumptibus et Typis Librariae Regensbergianae, 1913; reprint, Padua : Il Messagero di S. Antonio, 1960, pp. 14, 37, 96 and 234; Fornier, Marcellin ; Juvénis, Raymond ; Albert, Antoine ; Guillaume, Paul. Histoire générales des Alpes Maritimes ov Cottiènes, et pertievlière de levr métropolitaine Ambrvn; chronographiqve et meslée de la séevlière avec l'ecclésiastiqve, divisée en cinq parties fort abondantes en diverses belles evriositez. 3 vols. Paris, H. Champion, 1890 1892. Notes: "Publiie par l'abbé Paul Guillaume. "/ Vol. 3 has title: Histoire générale des Alpes Maritimes ov Cottiènes ... Continuation par Raymond Juvénis et Antoine Albert, avec appendice et table générale, II, 84-121. Webgraphy. His engraving and biography, in French, p. 377-379; biography, in French, p. 84-121; biography, in French, I, col. 76-77; biographical entry, in Italian; bibliography and biography, in English, toward the end of the page, as "Guillelmus de Mandagato"; and three engravings. (1) This is according to "Essai de liste générale des cardinaux. Les cardinaux du XIVè siècle jusqu'au Grand Schisme". Annuaire Pontifical Catholique 1930, p. 141; other sources say that he was born in Mandagout, Cévennes, department of Gard, the capital of which is Nîmes. Birth. Ca. 1260/1270, La Romieu, diocese of Condom, France. Of the local nobility of Montpellier. Relative of Pope Clement V. His first name is also listed as Arnaldo and Arnoldo; and his last name as d'Aux de Lescout, d'Auch, Daux, de Auxio, de Auxilio and de Ausilio. Education. Initially, he studied in Agen; he later studied law at the University of Orléans; and then at the University of Bologna, where he became a close friend of his relative Bertrand de Got, future Pope Clement V.
Early life. After the death of his parents in 1291, he entered the ecclesiastical state. Canon of the cathedral chapter of Coutances. Canon of the cathedral chapter of Comminges. Vicar general of Bordeaux, where his relative, Bertrand de Got, was the archbishop. In 1305, he was present at the coronation of the new Pope Clement V in Lyon. Charged with a diplomatic mission before the king of France. Episcopate. Elected bishop of Poitiers, November 4, 1306. Consecrated, November 14, 1306; took possession of the see on May 3, 1307; celebrated a diocesan synod in 1310; occupied the see until his promotion to the cardinalate. Papal chaplain or chamberlain from 1311 until July 23, 1319. He accompanied Cardinal Arnaud Nouvel, O.Cist. as nuncio to England in 1312. Cardinalate. Created cardinal bishop of Albano in the consistory of December 23, 1312. Camerlengo of the Holy Roman Church, in 1313; resigned the post a few months before his death. Participated in the conclave of 1314-1316, which elected Pope John XXII. On November 19, 1316, he obtained the license to make his will and to choose a confessor. Death. August 14 (or 24), 1320, Avignon. Buried in an alcove in the church of Saint-Pierre de la Romieu, near Condom, where he had funded a chapter. Bibliography. Cardella, Lorenzo. Memorie storiche de' cardinali della Santa Romana Chiesa. Rome : Stamperia Pagliarini, 1793, II, 89-90; Chacón, Alfonso. Vitæ, et res gestæ Pontificvm Romanorum et S. R. E. Cardinalivm ab initio nascentis Ecclesiæ vsque ad Vrbanvm VIII. Pont. Max. 2 volumes. Romae : Typis Vaticanis, 1677, II, col. 382-383; Du Chesne, François. Histoire de tous les cardinaux françois : de naissance, ou qui ont esté promeus au cardinalat par l'expresse recommandation de nos roys, pour les grands services qu'ils ont rendus a leur estat, et a leur couronne. Comprenant commairement leurs legations, ambassades & voyages par eux faits en divers pays & royaumes, vers les papes, empereurs, roys, potentats, republiques, communautex & universitez, pour affaires importantes à l'église universelle, & à l'auguste majesté de nos souuerains. Enrichie de leurs armes et de leurs portraits. Divisée en deux tomes, et justifiée par tiltres et chartres du thresor de sa majesté, arrests des parlemens de France, registres des Chambres des comptes; donations, fondations, epitaphes, testamens, manuscripts, ancients monumens, chroniques & chartulaires d'abbayes, & autres histoires publiques & particlieres. 2 vols. A Paris : Aux despens de l'autheur, & se vendent chez luy ..., 1660, II, 380-384; "Essai de liste générale des cardinaux. Les cardinaux du XIVè siècle jusqu'au Grand Schisme". Annuaire Pontifical Catholique 1930. Paris : Maison de la Bonne Presse, 1930, p. 141; Eubel, Conradus and Gulik, Guglielmus van. Hierarchia Catholica Medii Aevi. Volumen I (1198-1431). Münich : Sumptibus et Typis Librariae Regensbergianae, 1913; reprint, Padua : Il Messagero di S. Antonio, 1960, pp. 14, 35and 399. Webgraphy. His engraving and biography, in French, p. 380-384; The Collegiate Church of Saint Pierre at La Romieu, in English; his image in a stained glass window in the collegiate church of La Romieu; his arms, collegiate church of La Romieu; his portrait; and his engraving. Birth. Ca. 1244/1249, Cahors, France. Of a rich bourgeois family. Son of Arnaud d'Eusse, seigneur of Saint-Félix en Quercy. Uncle of Cardinal Gauscelin de Jean (1316). Relative (uncle on his mother's side?) of Cardinal Bertrand du Pouget (1316). Relative (uncle?) of Cardinal Imbert Dupuis (1327). His last name is also listed as Dossa, d'Eusa, d'Ueza, d'Ossa, Duèze, Duèse, Deuza and Deuse. Originally, his last name seems to have been Duèse and his brother, for reasons not known, changed it to d'Euse. Education. Initially, he studied in Cahors; later, studied law at the University of Montpellier; obtained a doctorate in utroque iure, both canon and civil law at the University of Orléans; he also studied theology in Paris but did not obtain the licentiate. Early life. Canon of the chapter of Saint-Front de Périgueux. Canon of the cathedral chapter of Albi. Familiar of King Carlo II d'Anjou of Naples in 1298; went to Italy as his chancellor in 1308; returned in 1309. Archdeacon of Sarlat. Dean of the cathedral chapter of Le Puy, January 31, 1300. Professor of law at the University of Montpellier. He was a friend of King Philippe le Bel of France. Episcopate. Elected bishop of Fréjus, February 4, 1300. Consecrated (no information found). Transferred to the see of Avignon, March 18, 1310; occupied the see until his promotion to the cardinalate. 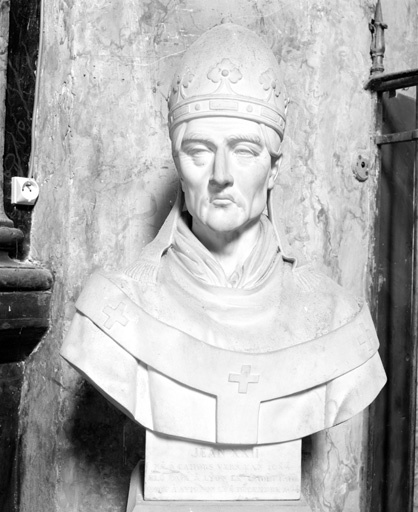 The pope named him to participate in the process of Pope Boniface VIII. He attended the Council of Vienne in 1311. Cardinalate. Created cardinal priest of S. Vitale in the consistory of December 23, 1312. Opted for the order of cardinal bishops and the suburbicarian see of Porto e Santa Rufina before May 22, 1313. Sub-dean of the Sacred College of Cardinals. Regent of the Apostolic Chancery during the absence of the chancellor, Cardinal Arnaud Nouvel, O.Cist. Participated in the conclave of 1314-1316 and was elected pope; the conclave was celebrated in the convent of the Dominicans in Lyon. Papacy. Elected pope on August 7, 1316. Took the name John XXII. He was crowned on September 5, 1316, in the church of the Dominicans in Lyon, by Cardinal Napoleone Orsini, protodeacon of S. Adriano. He excommunicated Emperor Ludwig IV von Bavaria, who, in 1328, named Antipope Nicholas V, a Franciscan friar; the emperor submitted to the pope shortly after; and the antipope resigned and lived in Avignon until his death in 1333. He ordered the feast of the Most Holy Trinity celebrated by the entire Church on the first Sunday after Pentecost. He created twenty eight cardinals in six consistories. Death. December 4, 1334, Avignon. Buried in the cathedral of Notre-Dame-des-Doms, Avignon; transferred to a chapel in that cathedral, March 9, 1759; his tomb was violated and his remains thrown to the river Rhone in 1793, during the French Revolution (1). Bibliography. Albanès, Joseph Mathias Hyacinthe ; Chevalier, Ulysse. Gallia christiana novissima. Histoire des archevêchés, évêques et abbayes de France. 7 vols. 1895-1920, III. 869-875. Other Title : Gallia Christiana. Responsibility: D'après les documents authentiques recueillis dans les registres du Vatican et les archives locales. Complétée, annotée et publiée par le chanoine Ulysse Chevalier, I, 359-361; Albe, Edmond. Autour de Jean XXII. Hugues Géraud, évêque de Cahors. L'affaire des poisons et des envoûtements en 1317. Cahors : J. Girma, 1904. Note: "Extrait du Bulletin de la Société des études littéraires, scientifiques et artistiques du Lot, t. XXIX"; Bertrandy-Lacabane, Martin. Recherches historiques sur l'origine, l'élection et le couronnement du pape Jean XXII. Paris : Treuttel et Würtz, 1854; Caillet, Louis. La papauté d'Avignon et l'Église de France : la politique bénéficiale du pape Jean XXII en France, 1316-1334. Paris : Presses universitaires de France, 1975. (Publications de l'université de Rouen); Cardella, Lorenzo. Memorie storiche de' cardinali della Santa Romana Chiesa. Rome : Stamperia Pagliarini, 1793, II, 90-91; Chacón, Alfonso. Vitæ, et res gestæ Pontificvm Romanorum et S. R. E. Cardinalivm ab initio nascentis Ecclesiæ vsque ad Vrbanvm VIII. Pont. Max. 2 volumes. Romae : Typis Vaticanis, 1677, II, col. 383 and 389-438; Del Re, Niccolò. Mondo vaticano. Passato e presente. Città del Vaticano : Libreria Editrice Vaticana, 1995, pp. 543-545; Du Chesne, François. Histoire de tous les cardinaux françois : de naissance, ou qui ont esté promeus au cardinalat par l'expresse recommandation de nos roys, pour les grands services qu'ils ont rendus a leur estat, et a leur couronne. Comprenant commairement leurs legations, ambassades & voyages par eux faits en divers pays & royaumes, vers les papes, empereurs, roys, potentats, republiques, communautex & universitez, pour affaires importantes à l'église universelle, & à l'auguste majesté de nos souuerains. Enrichie de leurs armes et de leurs portraits. Divisée en deux tomes, et justifiée par tiltres et chartres du thresor de sa majesté, arrests des parlemens de France, registres des Chambres des comptes; donations, fondations, epitaphes, testamens, manuscripts, ancients monumens, chroniques & chartulaires d'abbayes, & autres histoires publiques & particlieres. 2 vols. A Paris : Aux despens de l'autheur, & se vendent chez luy ..., 1660, II, 400-406; Esch, Anneliese. Die Ehedispense Johanns XXII. und ihre Beziehung zur Politik. Vaduz : Kraus, 1965, 1929. (Historische Studien ; Hft 183); "Essai de liste générale des cardinaux. Les cardinaux du XIVè siècle jusqu'au Grand Schisme". Annuaire Pontifical Catholique 1930. Paris : Maison de la Bonne Presse, 1930, p. 141; Eubel, Conradus and Gulik, Guglielmus van. Hierarchia Catholica Medii Aevi. Volumen I (1198-1431). Münich : Sumptibus et Typis Librariae Regensbergianae, 1913; reprint, Padua : Il Messagero di S. Antonio, 1960, pp. 14, 36, 48, 123 and 252; Heft, James. John XXII and papal teaching authority. Lewiston, N.Y. : E. Mellen Press, 1986. (Texts and studies in religion ; v. 27); Horst, Ulrich. Evangelische Armut und päpstliches Lehramt : Minoritentheologen im Konflikt mit Papst Johannes XXII. (1316-34). Stuttgart : W. Kohlhammer, 1996. (Münchener Kirchenhistorische Studien ; Bd.8); Kelly, John Norman Davidson. The Oxford Dictionary of Popes. Oxford ; New York : Oxford University Press, 1986, pp. 214-216; Les sermons de Jean XXII sur la vision béatifique. Texte précédé d'une introduction et suivi d'une chronologie de la controverse avec la liste des écrits pour et contre le pape. Edited by Marc Dykmans. Rome : Presses de l'Université Grégorienne, 1973. (Miscellanea historiae pontificiae edita a Facultate historiae ecclesiasticae in Pontificia universitate Gregoriana, v. 34; Variation: Miscellanea historiae pontificiae ; v. 34); Sol, Eugène. Un des plus grands papes de l'histoire, Jean XXII (Jacques Duèse de Cahors). Paris : Beauchesne, 1948; Tarrant, Jacqueline. Extravagantes Johannis XXII. Città del Vaticano : :Libreria Editrice Vaticana, 1983; Trottmann, Christian. "Giovanni XXII." Enciclopedia dei papi. 3 vols. Roma : Istituto della Enciclopedia italiana, 2000, II, 512-522. Webgraphy. Biography by Johann Peter Kirsch, in English, The Catholic Encyclopedia; his engraving and biography, in Fench, p. 400-406; biography, in French, col. 359-361; early biography, in French; biography, in English; coin and biography, in English, Encyclopaedia Britannica; biography, in Spanish, Canal Social; biography and portrait by Henri Ségur, Palais des papes, Avignon; his portrait by Giuseppe Franchi, 1613, Pinacoteca Ambrosiana, Milan; his image receiving Odorico de Pordenone, in an illuminated manuscript; his bust by Dominique Mahlknecht, 1844, on the occasion of the celebration of the 6th centennial of his birth, church of Saint-Barthélemy of Cahors, where he was probably baptized; his engraving. Araldica Vaticana; his image on a contemporary silver coin; in the coin collection of the Vatican Library; his arms in an engraving; his tomb in the cathedral of Notre-Dame-des-Doms, Avignon; lateral view of his tomb; and detail of his tomb and his jascent statue; Jean XXII, le pontificat le plus long en Avignon by Paul de Dinechin, Aleteia, 23 août 2018. Birth. (No date found), France. Son of Pierre de Frédol, seigneur de la Verune. Nephew of Cardinal Bérenger de Frédol, seniore (1305), on his father's side. Early life. Canon and chamberlain of the cathedral chapter of Béziers. Episcopate. Elected bishop of Béziers in 1309; confirmed, May 29, 1309. Consecrated (no information found). Cardinalate. Created cardinal priest of Ss. Nereo ed Achilleo in the consistory of December 23, 1312. Camerlengo of the Sacred College of Cardinals, 1313-1323. Participated in the conclave of 1314-1316, which elected Pope John XXII. Opted for the order of cardinal bishops and the suburbicarian see of Porto e Santa Rufina, August 22, 1317. Dean of the Sacred College of Cardinals in June 1323, at the death of his uncle. Death. November 1323, Avignon (?). Buried (no information found). Bibliography. Cardella, Lorenzo. Memorie storiche de' cardinali della Santa Romana Chiesa. Rome : Stamperia Pagliarini, 1793, II, 98; Chacón, Alfonso. Vitæ, et res gestæ Pontificvm Romanorum et S. R. E. Cardinalivm ab initio nascentis Ecclesiæ vsque ad Vrbanvm VIII. Pont. Max. 2 volumes. Romae : Typis Vaticanis, 1677, II, col. 387; "Essai de liste générale des cardinaux. Les cardinaux du XIVè siècle jusqu'au Grand Schisme". Annuaire Pontifical Catholique 1930. Paris : Maison de la Bonne Presse, 1930, p. 141; Eubel, Conradus and Gulik, Guglielmus van. Hierarchia Catholica Medii Aevi. Volumen I (1198-1431). Münich : Sumptibus et Typis Librariae Regensbergianae, 1913; reprint, Padua : Il Messagero di S. Antonio, 1960, pp. 14, 36, 45 and 137; Fisquet, Honoré. La France pontificale (Gallia christiana), histoire chronologique et biographique des archevêques et évêques de tous les diocèses de France depuis l'établissement du christianisme jusqu'à nos jours, divisée en 17 provinces ecclésiastique. 22 vol. Paris : E. Repos, 1864-1873, III, 115-117. Webgraphy. Biography, in French, p. 115-117; and his engraving. Birth. (No date found), Mortemer, Normandy, France. Son of Jean de Bec baron of Boury, and Thiphaine Paon. His last name is also listed as Becco, Beton and du Bech. Early life. Dean of the church of Saint-Quentin in Normandy. Archdeacon of the cathedral chapter of Paris. Cardinalate. Created cardinal priest of S. Stefano al Monte Celio in the consistory of December 23, 1312. Participated in the conclave of 1314-1316, which elected Pope John XXII. Death. August 30, 1318, Avignon. Buried in the chapel of Saint-Michel, which he had founded, situated on left side of choir of the cathedral of Notre-Dame of Paris (1). Bibliography. Cardella, Lorenzo. Memorie storiche de' cardinali della Santa Romana Chiesa. Rome : Stamperia Pagliarini, 1793, II, 97-98; Chacón, Alfonso. Vitæ, et res gestæ Pontificvm Romanorum et S. R. E. Cardinalivm ab initio nascentis Ecclesiæ vsque ad Vrbanvm VIII. Pont. Max. 2 volumes. Romae : Typis Vaticanis, 1677, II, col. 386; Du Chesne, François. Histoire de tous les cardinaux françois : de naissance, ou qui ont esté promeus au cardinalat par l'expresse recommandation de nos roys, pour les grands services qu'ils ont rendus a leur estat, et a leur couronne. Comprenant commairement leurs legations, ambassades & voyages par eux faits en divers pays & royaumes, vers les papes, empereurs, roys, potentats, republiques, communautex & universitez, pour affaires importantes à l'église universelle, & à l'auguste majesté de nos souuerains. Enrichie de leurs armes et de leurs portraits. Divisée en deux tomes, et justifiée par tiltres et chartres du thresor de sa majesté, arrests des parlemens de France, registres des Chambres des comptes; donations, fondations, epitaphes, testamens, manuscripts, ancients monumens, chroniques & chartulaires d'abbayes, & autres histoires publiques & particlieres. 2 vols. A Paris : Aux despens de l'autheur, & se vendent chez luy ..., 1660, II, 390-393; "Essai de liste générale des cardinaux. Les cardinaux du XIVè siècle jusqu'au Grand Schisme". Annuaire Pontifical Catholique 1930. Paris : Maison de la Bonne Presse, 1930, p. 141; Eubel, Conradus and Gulik, Guglielmus van. Hierarchia Catholica Medii Aevi. Volumen I (1198-1431). Münich : Sumptibus et Typis Librariae Regensbergianae, 1913; reprint, Padua : Il Messagero di S. Antonio, 1960, pp. 14, and 47. Webgraphy. His engraving and biography, in French, p. 390-393; his genealogy, page 5; engraving of his statue in the chapel of Saint-Michel, cathedral of Notre Dame, Paris; and two engravings. (1) This is according to "Essai de liste générale des cardinaux. Les cardinaux du XIVè siècle jusqu'au Grand Schisme". Annuaire Pontifical Catholique 1930, p. 141; his biography in French, linked above, says that he was buried in the church of the Carmelites in Paris. Birth. (No date found), diocese of Condom, France. His last name is also listed as Testa. Early life. Domestic of Pope Clement V. Archdeacon of the cathedral chapter of Comminges. Legate in England. Cardinalate. Created cardinal priest of S. Ciriaco alle Terme in the consistory of December 23, 1312 (2); the pope sent him the red hat to England. Participated in the conclave of 1314-1316, which elected Pope John XXII. Cardinal protoprete in January 1323. Camerlengo of the Sacred College of Cardinals, November 26, 1323 until his death. Opted for the order of cardinal bishops and the suburbicarian see of Albano (3) He founded the Hospital Saint-Jacques. He prepared his will on September 1, 1326. Bibliography. Cardella, Lorenzo. Memorie storiche de' cardinali della Santa Romana Chiesa. Rome : Stamperia Pagliarini, 1793, II, 97-98; Chacón, Alfonso. Vitæ, et res gestæ Pontificvm Romanorum et S. R. E. Cardinalivm ab initio nascentis Ecclesiæ vsque ad Vrbanvm VIII. Pont. Max. 2 volumes. Romae : Typis Vaticanis, 1677, II, col. 387; Du Chesne, François. Histoire de tous les cardinaux françois : de naissance, ou qui ont esté promeus au cardinalat par l'expresse recommandation de nos roys, pour les grands services qu'ils ont rendus a leur estat, et a leur couronne. Comprenant commairement leurs legations, ambassades & voyages par eux faits en divers pays & royaumes, vers les papes, empereurs, roys, potentats, republiques, communautex & universitez, pour affaires importantes à l'église universelle, & à l'auguste majesté de nos souuerains. Enrichie de leurs armes et de leurs portraits. Divisée en deux tomes, et justifiée par tiltres et chartres du thresor de sa majesté, arrests des parlemens de France, registres des Chambres des comptes; donations, fondations, epitaphes, testamens, manuscripts, ancients monumens, chroniques & chartulaires d'abbayes, & autres histoires publiques & particlieres. 2 vols. A Paris : Aux despens de l'autheur, & se vendent chez luy ..., 1660, II, 396-399; "Essai de liste générale des cardinaux. Les cardinaux du XIVè siècle jusqu'au Grand Schisme". Annuaire Pontifical Catholique 1930. Paris : Maison de la Bonne Presse, 1930, p. 141; Eubel, Conradus and Gulik, Guglielmus van. Hierarchia Catholica Medii Aevi. Volumen I (1198-1431). Münich : Sumptibus et Typis Librariae Regensbergianae, 1913; reprint, Padua : Il Messagero di S. Antonio, 1960, pp. 14 and 41. Webgraphy. His engraving and biography, in French, p. 396-399; and three engravings. (1) Cardella, Memorie storiche de' cardinali della Santa Romana Chiesa, II, 97: "illustrious by the clarity of blood, the science and the vritue that adorned him". (3) This is according to Chacón, Vitæ, et res gestæ Pontificvm Romanorum et S. R. E. Cardinalivm, II, col. 387; and his first biography in French, linked above; "Essai de liste générale des cardinaux. Les cardinaux du XIVè siècle jusqu'au Grand Schisme". Annuaire Pontifical Catholique 1930, p. 143, says that it is erroneous that he became a cardinal bishop of Albano; in his will, dated September 1, 1326, he appears as cardinal of S. Ciriaco. (4) This is according to Eubel, Hierarchia Catholica Medii Aevi, I, 14 and 41; "Essai de liste générale des cardinaux. Les cardinaux du XIVè siècle jusqu'au Grand Schisme". Annuaire Pontifical Catholique 1930, p. 141, indicates that he died in July 1326; Chacón, Vitae et res gestae Pontificum Romanorum et S. R. E. Cardinalium, II, col. 386, says that he died in 1345. Birth. Ca. 1260, Bayonne, France. Son of Pierre Godin. His first name is also listed as Villelmo; some sources list him with the second name Petri; his last name is also listed as de Peyre Godin, de Godieu, Godiuus and Godinus. Education. Entered the Order of Preachers (Dominicans) in Béziers ca. 1279. Obtained a doctorate at the University of Paris in 1292. Priesthood. Ordained (no further information found). Professor of philosophy before 1282; and of theology in 1287. Provincial of his order in Provence, July 21, 1301. First provincial of his order in Toulouse, September 28, 1303. 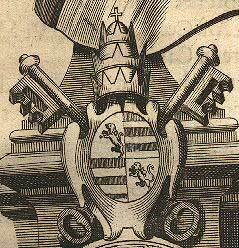 Master of the Sacred Palace in Rome in 1306..
Cardinalate. Created cardinal priest of S. Cecilia in the consistory of December 23, 1312. Participated in the conclave of 1314-1316, which elected Pope John XXII. On November 22, 1316, he obtained the license to make a will. Episcopate. Opted for the order of cardinal bishops and the suburbicarian see of Sabina, September 12, 1317; retained his title in commendam until his death. Consecrated (no information found). Named legate in Spain in 1320; he presided the Council of Valladolid in August 1322. Dean of the Sacred College of Cardinals in November 1323. In 1324, in Avignon, he consecrated Raymond Bequin, patriarch of Jerusalem. Participated in the conclave of 1334, which elected Pope Benedict XII. He authored a collection of papal documents. Rebuilt the Dominican churches of Bayonne and Avignon. Death. June 4, 1336, Avignon. 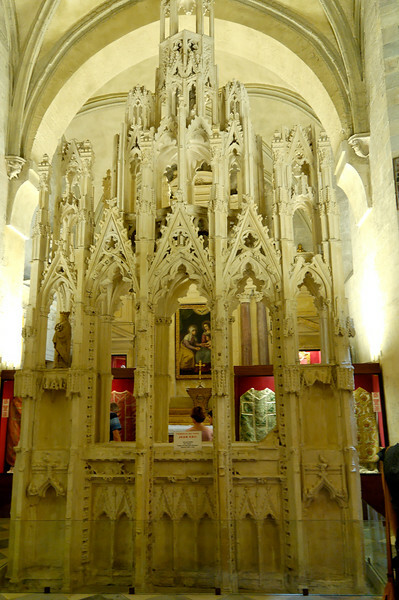 Buried in front of the main altar in the church of the Dominicans in Toulouse, which he had rebuilt (1). Bibliography. Cardella, Lorenzo. Memorie storiche de' cardinali della Santa Romana Chiesa. Rome : Stamperia Pagliarini, 1793, II, 94-96; Chacón, Alfonso. Vitæ, et res gestæ Pontificvm Romanorum et S. R. E. Cardinalivm ab initio nascentis Ecclesiæ vsque ad Vrbanvm VIII. Pont. Max. 2 volumes. Romae : Typis Vaticanis, 1677, II, col. 384; Du Chesne, François. Histoire de tous les cardinaux françois : de naissance, ou qui ont esté promeus au cardinalat par l'expresse recommandation de nos roys, pour les grands services qu'ils ont rendus a leur estat, et a leur couronne. Comprenant commairement leurs legations, ambassades & voyages par eux faits en divers pays & royaumes, vers les papes, empereurs, roys, potentats, republiques, communautex & universitez, pour affaires importantes à l'église universelle, & à l'auguste majesté de nos souuerains. Enrichie de leurs armes et de leurs portraits. Divisée en deux tomes, et justifiée par tiltres et chartres du thresor de sa majesté, arrests des parlemens de France, registres des Chambres des comptes; donations, fondations, epitaphes, testamens, manuscripts, ancients monumens, chroniques & chartulaires d'abbayes, & autres histoires publiques & particlieres. 2 vols. A Paris : Aux despens de l'autheur, & se vendent chez luy ..., 1660, II, 385-387; "Essai de liste générale des cardinaux. Les cardinaux du XIVè siècle jusqu'au Grand Schisme". Annuaire Pontifical Catholique 1930. Paris : Maison de la Bonne Presse, 1930, p. 141-42; Eubel, Conradus and Gulik, Guglielmus van. Hierarchia Catholica Medii Aevi. Volumen I (1198-1431). Münich : Sumptibus et Typis Librariae Regensbergianae, 1913; reprint, Padua : Il Messagero di S. Antonio, 1960, pp. 14, 38 and 40; Féret, Pierre. La Faculté de théologie de Paris et ses docteurs les plus célèbres : moyen-age. 4 v. Paris : Picard, 1894-1897. Note: Added t.p. : La Faculté de théologie de Paris au moyen-age et ses docteurs les plus célèbres. Other title: Faculté de théologie de Paris au moyen-age et ses docteurs les plus célèbres, III, 417-418; Fournier, P. "Le cardinal Guillaume de Peyre de Godin." Bibliothèque de l'école des chartes, 86 (1925), 100-121; Rucquoi, A. "El Cardenal legado Guillaume Peyre de Godin." Revista española de derecho canónico, 1990, vol. 47, n.129, pp. 493-516; Satan hérétique : l'institution judiciaire de la démonologie sous Jean XXII by Alain Boureau, Médiévales, n0 44, Paris, PUV, printemps 2003, p. 17-46; biographical data of Cardinal Godin appears in "Effort conitnu", paragraph 9. Webgraphy. 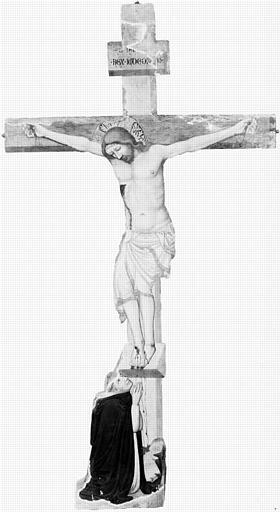 His engraving and biography, in French, p. 385-387; biography, in French, p. 417-418; biography, in Spanish, with his engraving and arms at the end of the article; biographical entry, in German; his image at the feet of Christ, by and anonymous Italian painter of the 14th century, Musée des Augustins, Toulouse; his image in a fesco in the former Dominican convent in Treviso, Italy; painting representing Saint Dominic and the cardinal, dated 1335, refectory of the convent of Saint-Sever; his arms in the ceiling of the nave of the cathedral of Bayonne, on page 2 of the site; and his engraving. Birth. Ca. 1260, Bazas, France. His first name is also listed as Vidal; and his last name as da Furno. Education. Started medical studies at the University of Montpellier. Entered the Order of the Friars Minor (Franciscans). Studied theology in Paris between 1285 and 1291, under Jacques du Quesnoy first, and then under Raimond Rigaut; obtained a baccalaureate; and the title of magister in 1298. Priesthood. Ordained (no further information found). Lector of theology at Studium of the order in Montpellier in 1291. Returned to Paris to study under Jacques du Quesnoy from 1295 to 1296. Lector of theology at Toulouse, 1297-1298. Provincial of his order in Aquitaine from 1307 until 1312. He was counselor of popes, preacher, controvertist and polemicist. In August 1311, he responded to the Rotulus of Uberto da Casale; and in 1312, at the request of the pope, he refuted the thesis of Bonagrazia da Bergamo relative to the controversy over poverty. He was prior of the monasteries of Saint-Mont and d'Eauze. Cardinalate. Created cardinal priest of Ss. Silvestro e Martino ai Monti in the consistory of December 23, 1312. Participated in the conclave of 1314-1316, which elected Pope John XXII. On May 27, 1319, at the invitation of Minister General Michele da Cesena, O.F.M., he had the opening sermon at the general chapter of the order celebrated in Marseille. Episcopate. Opted for the order of cardinal bishops and the suburbicarian see of Albano in June 1321. Consecrated, June 14, 1321; Pope John XXII gave a banquet on that day to celebrate his consecration. He was legate in several occasions and received several prebends, especially in France. He fell in disgrace with the pope in 1322-1323 because in the matter of poverty he embraced the view of his order, which was opposed to that of the pontiff; at the end, he submitted himself to the papal authority. Author of numerous works on ecclesiastical subjects. He intervened against Giovanni Olivi, whom he examined and in whose process he took part. He also sided against the Spirituali in the controversy with the Dominicans over poverty. He collaborated in the process against Boniface VIII. He wrote the work Pour conserver la santé et rester en forme. Death. August 16, 1327, Avignon. Buried in the church of the convent of S. Francesco in Avignon (1). Bibliography. Betti, Umberto. I cardinali dell'Ordine dei Frati Minori. Presentazione di Alberto Ghinato. Roma : Edizioni Francescane, 1963. (Orizzonti Francescani. Collana di cultura francescana, 5), p. 33; Cardella, Lorenzo. Memorie storiche de' cardinali della Santa Romana Chiesa. Rome : Stamperia Pagliarini, 1793, II, 96-97; Chacón, Alfonso. Vitæ, et res gestæ Pontificvm Romanorum et S. R. E. Cardinalivm ab initio nascentis Ecclesiæ vsque ad Vrbanvm VIII. Pont. Max. 2 volumes. Romae : Typis Vaticanis, 1677, II, col. 385-386; Du Chesne, François. Histoire de tous les cardinaux françois : de naissance, ou qui ont esté promeus au cardinalat par l'expresse recommandation de nos roys, pour les grands services qu'ils ont rendus a leur estat, et a leur couronne. Comprenant commairement leurs legations, ambassades & voyages par eux faits en divers pays & royaumes, vers les papes, empereurs, roys, potentats, republiques, communautex & universitez, pour affaires importantes à l'église universelle, & à l'auguste majesté de nos souuerains. Enrichie de leurs armes et de leurs portraits. Divisée en deux tomes, et justifiée par tiltres et chartres du thresor de sa majesté, arrests des parlemens de France, registres des Chambres des comptes; donations, fondations, epitaphes, testamens, manuscripts, ancients monumens, chroniques & chartulaires d'abbayes, & autres histoires publiques & particlieres. 2 vols. A Paris : Aux despens de l'autheur, & se vendent chez luy ..., 1660, II, 388-389; "Essai de liste générale des cardinaux. Les cardinaux du XIVè siècle jusqu'au Grand Schisme". Annuaire Pontifical Catholique 1930. Paris : Maison de la Bonne Presse, 1930, p. 142; Eubel, Conradus and Gulik, Guglielmus van. Hierarchia Catholica Medii Aevi. Volumen I (1198-1431). Münich : Sumptibus et Typis Librariae Regensbergianae, 1913; reprint, Padua : Il Messagero di S. Antonio, 1960, pp. 15 and 35; Ritzler, Remigius. "I cardinali e i papi dei Frati Minori Conventuali." Miscellanea Franciscana, LXXI (Gennaio-Giugno 1971), Fasc. I-II, 22-24. Webgraphy. His engraving and biography, in French, p. 388-389; bibiography and biography, in English; two engravings; and Le Cardinal Vital du Four. Huit questions inédites sur le problème de la connaissance by F. Delorme, O. F. M., Archives d'histoire doctrinale et littéraire du Moyen-âge. 1927, III, 151-337. BONAE. MEMORIAE. EPISCOPVS. ALBANENSIS. S. R. E.
CARDINALIS. QVI. OBIIT. DIE. XVI. MENSIS. AVGVSTI. MCCCXXVII. CVIVS. ANIMA. REQVIESCAT. IN. PACE. Birth. (No date found), France. He is also listed as Raimondo de Sain-Sever; and his first name is also listed as Pierre. Priesthood. Ordained (no further information found). Abbot of Saint-Sever, diocese of Aire, for twenty years. Episcopate. Elected bishop of Oloron in 1309. Consecrated (no information found). Cardinalate. Created cardinal priest of S. Pudenziana in the consistory of December 23, 1312. Participated in the conclave of 1314-1316, which elected Pope John XXII. Death. July 19, 1317, Avignon. Buried (no information found). Bibliography. Cardella, Lorenzo. Memorie storiche de' cardinali della Santa Romana Chiesa. Rome : Stamperia Pagliarini, 1793, II, 99; Chacón, Alfonso. Vitæ, et res gestæ Pontificvm Romanorum et S. R. E. Cardinalivm ab initio nascentis Ecclesiæ vsque ad Vrbanvm VIII. Pont. Max. 2 volumes. Romae : Typis Vaticanis, 1677, II, col. 387-388; Du Chesne, François. Histoire de tous les cardinaux françois : de naissance, ou qui ont esté promeus au cardinalat par l'expresse recommandation de nos roys, pour les grands services qu'ils ont rendus a leur estat, et a leur couronne. Comprenant commairement leurs legations, ambassades & voyages par eux faits en divers pays & royaumes, vers les papes, empereurs, roys, potentats, republiques, communautex & universitez, pour affaires importantes à l'église universelle, & à l'auguste majesté de nos souuerains. Enrichie de leurs armes et de leurs portraits. Divisée en deux tomes, et justifiée par tiltres et chartres du thresor de sa majesté, arrests des parlemens de France, registres des Chambres des comptes; donations, fondations, epitaphes, testamens, manuscripts, ancients monumens, chroniques & chartulaires d'abbayes, & autres histoires publiques & particlieres. 2 vols. A Paris : Aux despens de l'autheur, & se vendent chez luy ..., 1660, II, 394-395; "Essai de liste généale des cardinaux. Les cardinaux du XIVè siècle jusqu'au Grand Schisme". Annuaire Pontifical Catholique 1930. Paris : Maison de la Bonne Presse, 1930, p. 142; Eubel, Conradus and Gulik, Guglielmus van. Hierarchia Catholica Medii Aevi. Volumen I (1198-1431). Münich : Sumptibus et Typis Librariae Regensbergianae, 1913; reprint, Padua : Il Messagero di S. Antonio, 1960, pp. 15, 46 and 377. Webgraphy. His arms and biography, in French, p. 394-395; and his engraving. Birth. Ca. 1253, Valenciennes, Flanders. Fourth child of Jan, lord of Avesnes, and Aleid of Holland. Brother of Johann d'Avesnes, count of Hennegau since 1280, who also was since 1299 Johann II count of Holland; in his name, Guy governed the largest part of Utrecht; his brother Burkhard d'Avesnes became bishop of Metz; and another brother, Wilhelm d'Avesnes, bishop von Cambrai. He is also listed as Guy de Hennegau; his first name as Guido. Early life. Archdeacon and custodian of the cathedral chapter of Liège. Episcopate. After the death of the bishop of Liège (Lüttich), Johann von Flanders, on October 14, 1292, his brothers influenced a part of the cathedral chapter to elect Guy the successor; the rest of the canons elected Wilhelm Berthout as bishop; the latter was supported by Duke Johann II von Brabant and by the count of Flanders; both candidates went to Rome; the death of Pope Nicholas IV, delayed the decision and Bishop Guy returned to Liège; he received the episcopal regalia from King Adolf von Nassau on June 20, 1294; during the brief pontificate of Pope Celestine V, the dispute could not be solved; the new pope, Boniface VIII, intervened energetically; although Bishop Guy went to Rome for the second time to obtain the confirmation of his election, this was rejected by the pope, who instead, named Hugo of Chalons as bishop of Liège on December 12, 1295; all official acts of Bishop Guy were however later recognized. Bishop Guy fought in the battle near Hoge Woerd, in which the bishop of Utrecht, Wilhelm Berthout, died on July 4, 1301; the death of Bishop Wilhelm produced a double election to the see of Utrecht, whereby a large part of the Wahlkollegiums of the five chapters of Utrecht and the archdeacon in Deventer supported the provost of the cathedral chapter of Utrecht Adolf von Waldeck, and another part of the chapter decided for Bishop Guy; Pope Boniface VIII solved the complicated situation naming Bishop Adolf von Waldeck on September 1, 1301 as successor of Bishop Hugues de Chalons of Liège, who had been transferred to the see of Besançon, and appointing Bishop Guy as bishop of Utrecht. In Christmas 1309, Bishop Guy received the episcopal regalia from King Heinrich VII von Luxembourg. Consecrated (no information found). In March 1310, he participated in the provincial synod in Cologne; and organized, in the same year, a diocesan synod in Utrecht, where new statutes were issued and the rights of the archdeacon defined. Attended the Council of Vienne in 1311. Cardinalate. Created cardinal in 1312 at the request of King Philippe IV le Bel of France; he declined the promotion; the king gave him instead an annual pension. Bishop Guy was nearly six years in France and returned to his see only in 1317. Death. May 29, 1317, Utrecht. Buried in the new choir of the cathedral of Utrecht. Bibliography. Cardella, Lorenzo. Memorie storiche de' cardinali della Santa Romana Chiesa. Rome : Stamperia Pagliarini, 1793, II, 89; Chacón, Alfonso. Vitæ, et res gestæ Pontificvm Romanorum et S. R. E. Cardinalivm ab initio nascentis Ecclesiæ vsque ad Vrbanvm VIII. Pont. Max. 2 volumes. Romae : Typis Vaticanis, 1677, II, col. 382; "Essai de liste générale des cardinaux. Les cardinaux du XIVè siècle jusqu'au Grand Schisme". Annuaire Pontifical Catholique 1930. Paris : Maison de la Bonne Presse, 1930, p. 142; Eubel, Conradus and Gulik, Guglielmus van. Hierarchia Catholica Medii Aevi. Volumen I (1198-1431). Münich : Sumptibus et Typis Librariae Regensbergianae, 1913; reprint, Padua : Il Messagero di S. Antonio, 1960, p. 302 and 491; Herwaarden, Jan van ; Minke, Alfred. "Guido von (Guy d') Avesnes (um 1253-1317)." Die Bischöfe des Heiligen Römischen Reiches, 1198 bis 1448 : ein biographisches Lexikon. Herausgegeben von Erwin Gatz, unter Mitwirkung von Clemens Brodkorb. Berlin : Duncker & Humblot, 2001, pp. 828-829. Link. 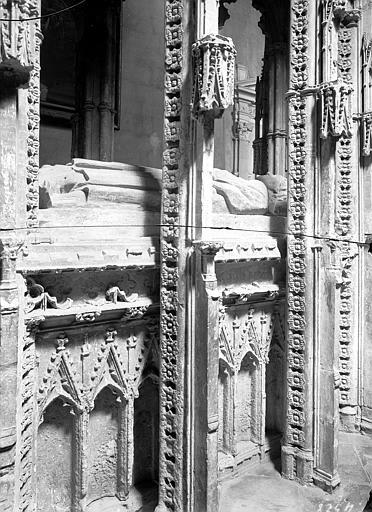 Counts of d'Avesnes - Hainault 1299 - 1349, in English; his genealogy, in English, under "The counts of Holland and Hennegau (House of Avesnes)": and his tomb in the cathedral of Utrecht. Birth. 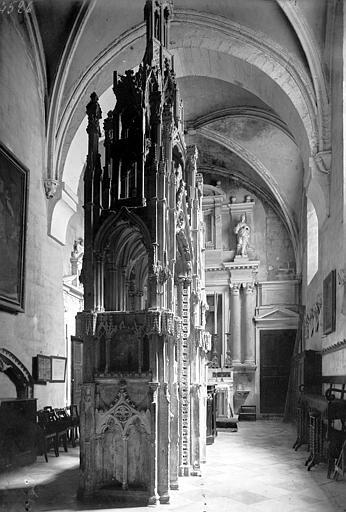 (No date found), Cardaillac, diocese of Cahors, France. Son of Gérard de Cardaillac, seigneur de la Chapelle-Marival. Brother of Guillaume de Cardaillac, bishop of Saint-Papoul. Early life. Dean of the cathedral chapter of Beauvais. He had received the subdiaconate at the time of his promotion to the episcopate. Episcopate. Elected bishop of Rieux, Ferbuary 27, 1321 (1). Consecrated (no information found). Transferred to the see of Cahors, July 20, 1324; he was expelled by the English in 1364. Cardinalate. Created cardinal bishop of Porto e Santa Rufina. Death. Before February 15, 1366. Buried (no information found). Bibliography. Cardella, Lorenzo. Memorie storiche de' cardinali della Santa Romana Chiesa. Rome : Stamperia Pagliarini, 1793, II, 100; Chacón, Alfonso. Vitæ, et res gestæ Pontificvm Romanorum et S. R. E. Cardinalivm ab initio nascentis Ecclesiæ vsque ad Vrbanvm VIII. Pont. Max. 2 volumes. Romae : Typis Vaticanis, 1677, II, col. 388; "Essai de liste générale des cardinaux. Les cardinaux du XIVè siècle jusqu'au Grand Schisme". Annuaire Pontifical Catholique 1930. Paris : Maison de la Bonne Presse, 1930, p. 142; Eubel, Conradus and Gulik, Guglielmus van. Hierarchia Catholica Medii Aevi. Volumen I (1198-1431). Münich : Sumptibus et Typis Librariae Regensbergianae, 1913; reprint, Padua : Il Messagero di S. Antonio, 1960, pp. 15, 178 and 421. Webgraphy. Catalog of the bishops of Rieux; and catalog of the bishops of Cahors. (1) According to Eubel, Hierarchia Catholica Medii Aevi, I, 421, he succeeded Pilfort de Rabastens, O.S.B., on February 27, 1321 (Bishop Rabastens had been promoted to the cardinalate on December 20, 1320); Pius Bonifatius Gams, O.S.B., Series episcoporum Ecclesiae catholicae (3 v. in 1. Graz : Akademische Druck- u. Verlagsanstalt, 1957, p. 609, indicates that Bertrand de Pilefort, O.F.M., was elected successor of Bishop Rabastens on June 30, 1321; that the see vacated in November 1321; and lists Bishop Cardaillac occupying the see in July 1322; Louis Mas Latrie, Trésor de chronologie d'histoire et de géographie pour l'étude et l'emploi des documents du moyen âge (Paris : V. Palmé, 1889), p. 1471, indicates that Bertrand I de Piletort, O.S.Fr., was elected bishop of Rieux on May 30, 1321 and that the see vacated on November 9, 1321; the source add that by July 1322, the see was occupied by Bertrand II de Cardaillac, O.S.Fr. Birth. (No date found), France. Cardinalate. Created cardinal on the Saturday of the fourth tempora of Advent 1310. Bibliography. Cardella, Lorenzo. Memorie storiche de' cardinali della Santa Romana Chiesa. Rome : Stamperia Pagliarini, 1793, II, 99; Chacón, Alfonso. Vitæ, et res gestæ Pontificvm Romanorum et S. R. E. Cardinalivm ab initio nascentis Ecclesiæ vsque ad Vrbanvm VIII. Pont. Max. 2 volumes. Romae : Typis Vaticanis, 1677, II, col. 388; "Essai de liste générale des cardinaux. Les cardinaux du XIVè siècle jusqu'au Grand Schisme". Annuaire Pontifical Catholique 1930. Paris : Maison de la Bonne Presse, 1930, p. 142; Eubel, Conradus and Gulik, Guglielmus van. Hierarchia Catholica Medii Aevi. Volumen I (1198-1431). Münich : Sumptibus et Typis Librariae Regensbergianae, 1913; reprint, Padua : Il Messagero di S. Antonio, 1960, pp. 15. Cardinalate. Created cardinal on the Saturday of the fourth tempora of Advent 1312. Birth. (No date found), Padua. Of a noble family. Early life. Jurisconsult of Padua. Cardinalate. Created cardinal on an unknown date. Bibliography. Cardella, Lorenzo. Memorie storiche de' cardinali della Santa Romana Chiesa. Rome : Stamperia Pagliarini, 1793, II, 99-100; Chacón, Alfonso. Vitæ, et res gestæ Pontificvm Romanorum et S. R. E. Cardinalivm ab initio nascentis Ecclesiæ vsque ad Vrbanvm VIII. Pont. Max. 2 volumes. Romae : Typis Vaticanis, 1677, II, col. 388; "Essai de liste générale des cardinaux. Les cardinaux du XIVè siècle jusqu'au Grand Schisme". Annuaire Pontifical Catholique 1930. Paris : Maison de la Bonne Presse, 1930, p. 142; Eubel, Conradus and Gulik, Guglielmus van. Hierarchia Catholica Medii Aevi. Volumen I (1198-1431). Münich : Sumptibus et Typis Librariae Regensbergianae, 1913; reprint, Padua : Il Messagero di S. Antonio, 1960, pp. 15.